Don’t worry “Manifest” fans, you’ll (hopefully) get to the bottom this mystery, as NBC has ordered three more episodes of the freshman series. Those additional installments bring the network’s “full-season order” for the “Lost”-like series to 16 episodes. The extra episode pickup comes four episodes into the Melissa Roxburgh and Josh Dallas-led show’s first season, with “Manifest” currently sitting as fall’s top-rated new drama. The program is averaging a 3.9 rating in the all-important adults 18-49 demographic and 17.2 million total viewers, according to the “most current” Live + Seven Day data from Nielsen. However, we need to point out here that 16 episodes does not usually a “full-season order” make, as that term is typically reserved for 22-to-24-episode seasons. 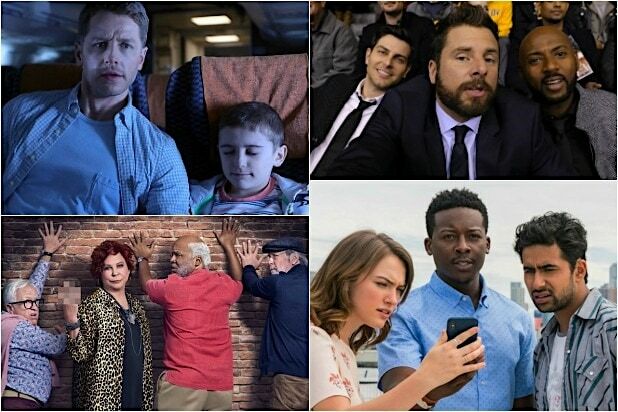 But it’s true that NBC has made a habit out of giving shorter runs to its new series in recent years, with the first three seasons of “This Is Us” getting 18-episode orders for each and the first three of the “The Good Place” 13 episodes apiece. “Manifest” stars Roxburgh, Dallas, Athena Karkanis, J.R. Ramirez, Luna Blaise, Jack Messina and Parveen Kaur. Jeff Rake writes and executive produces the series, with David Frankel directing and executive producing the pilot, and Robert Zemeckis, Jack Rapke and Jackie Levine also executive producing. “Manifest” hails from Warner Bros. Television, Universal Television, Compari Entertainment and Jeff Rake Productions. “Manifest” airs Mondays at 10/9c on NBC.